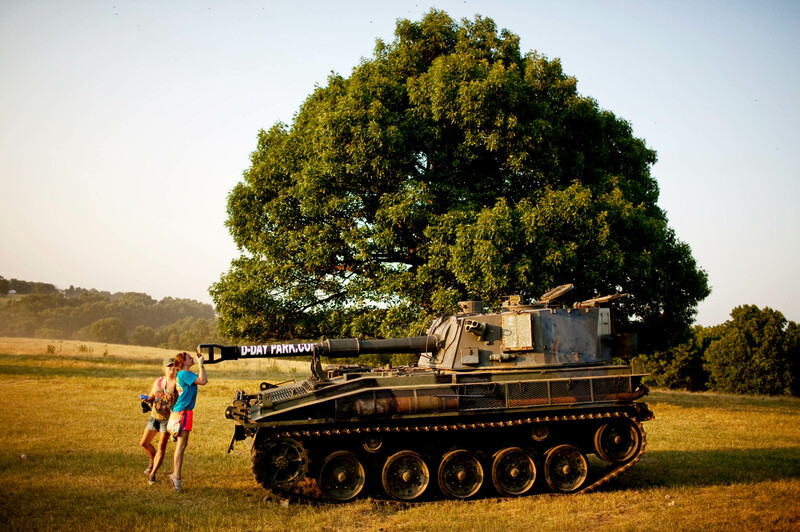 A young girl peers into the turret of a tank outside the shooting range. In addition to the tank, organizers brought an armored personnel carrier, a half-track troop carrier and a military helicopter. All were operational and available for rides to the tune of 70 dollars per person.